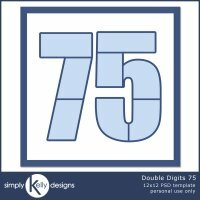 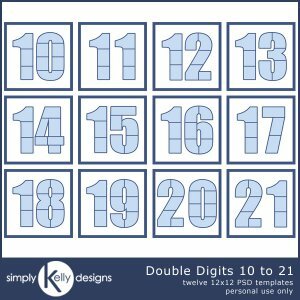 The Double Digits Templates 10 to 21 is a set of twelve 12x12 PSD templates of numbers: 10, 11, 12, 13, 14, 15, 16, 17, 18, 19, 20 and 21. 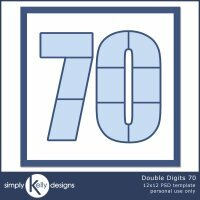 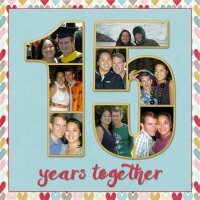 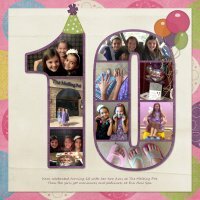 These templates are perfect for a birthday, anniversary or anytime a number takes centerstage. 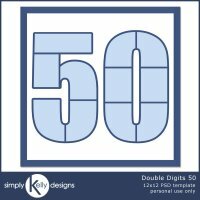 Look for more Double Digits templates in the store.